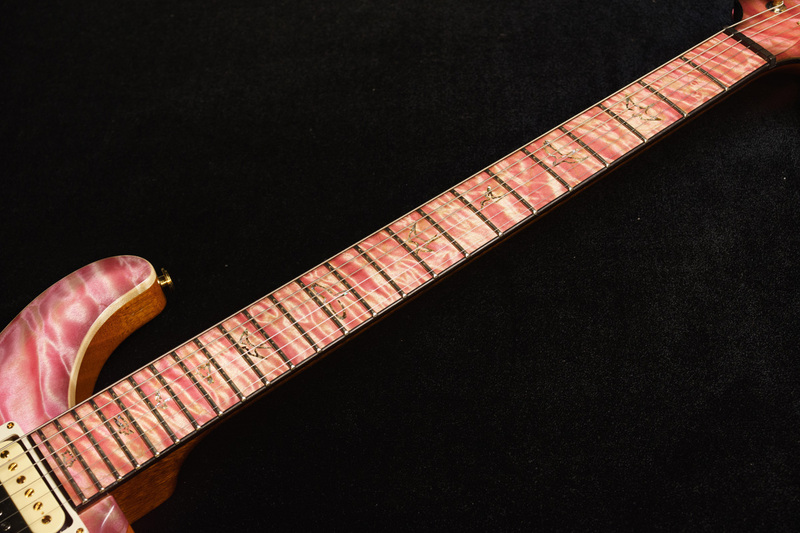 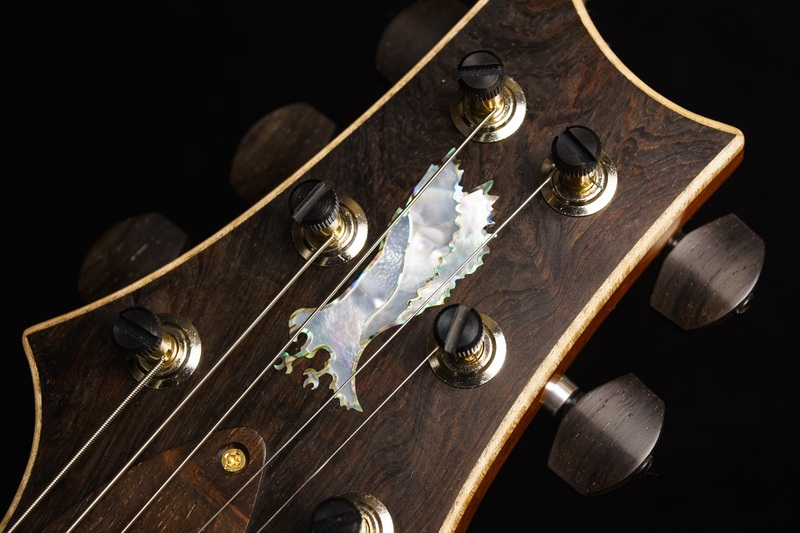 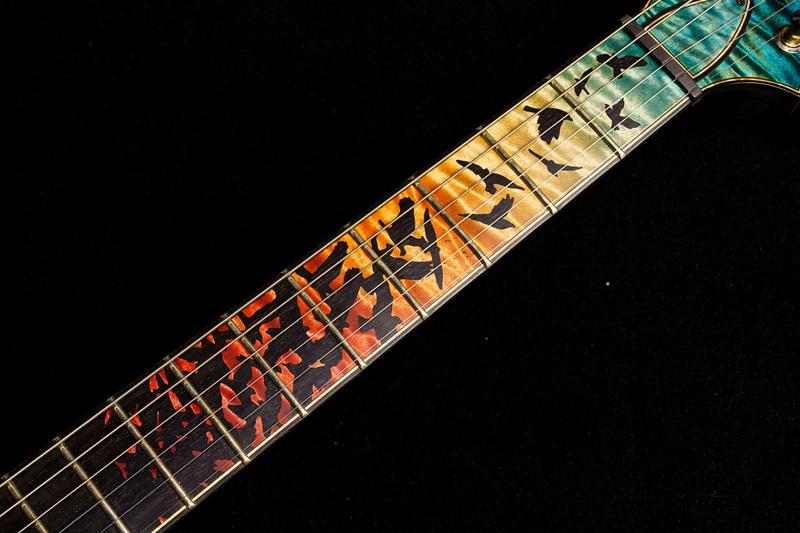 Amber Dragon's Breath high gloss nitro finish,mother of pearl birds inlays,with paua outlines,curly maple binding along the fingerboard and headstock veneer as well as a 24.594 scale length. 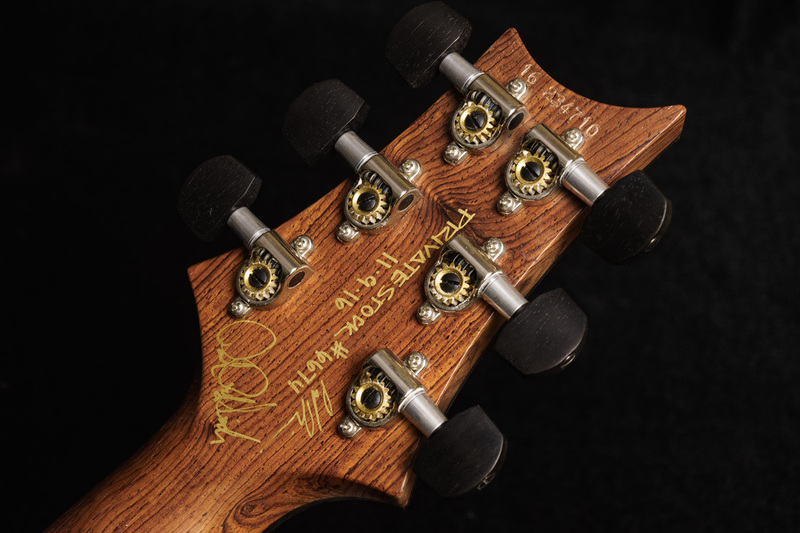 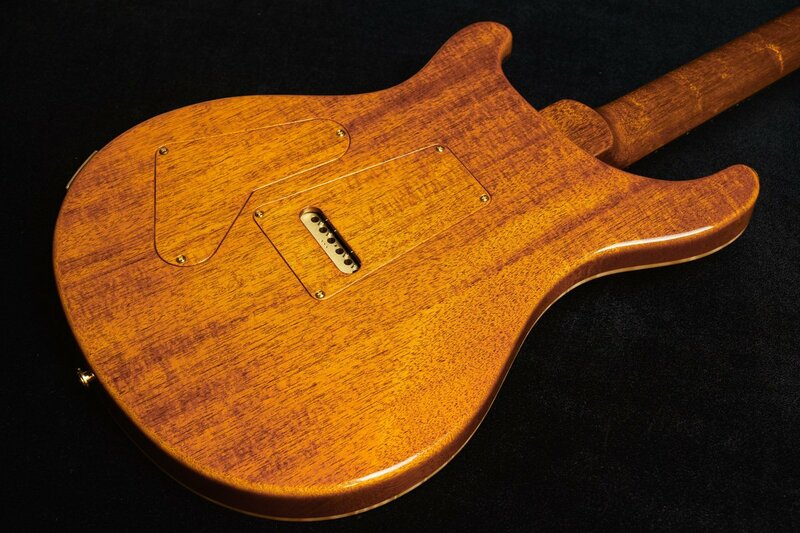 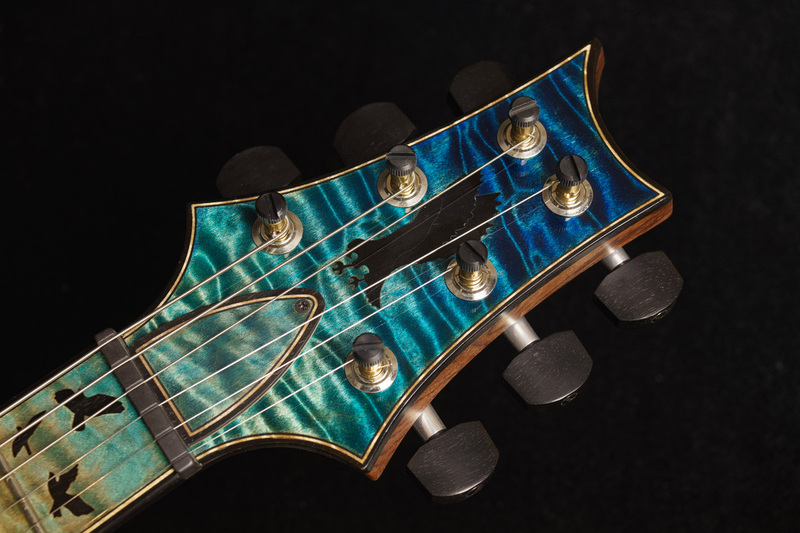 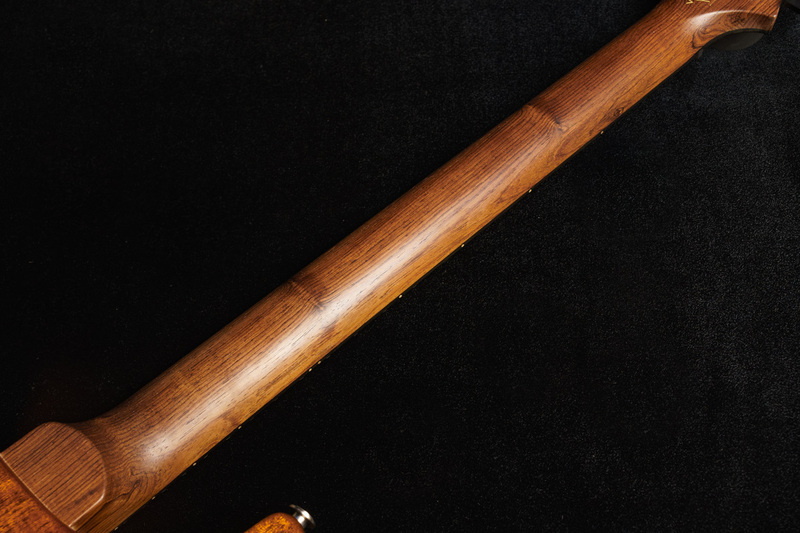 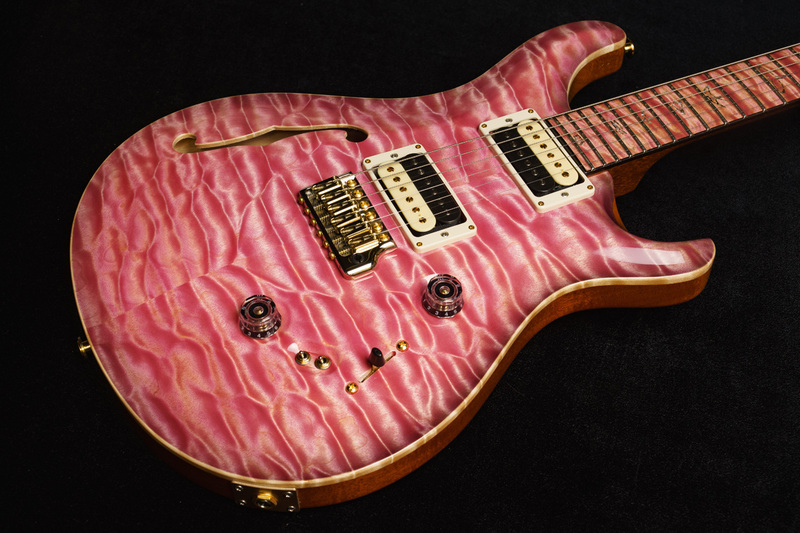 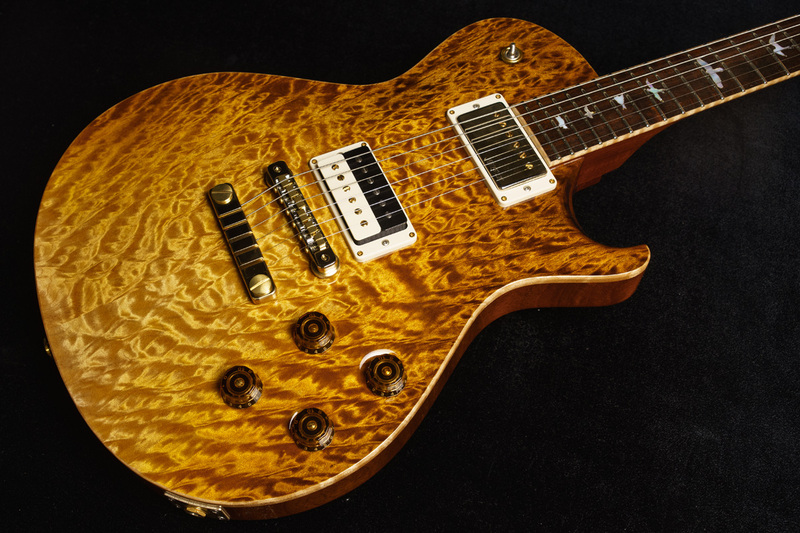 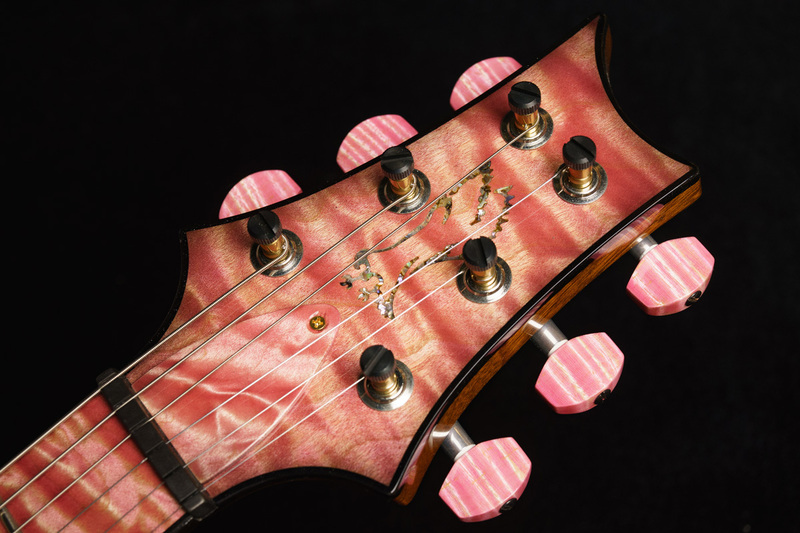 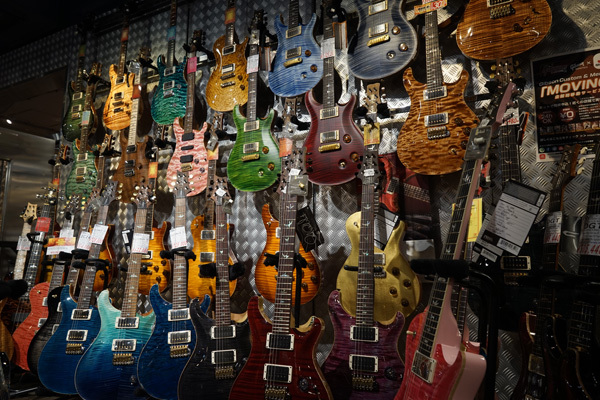 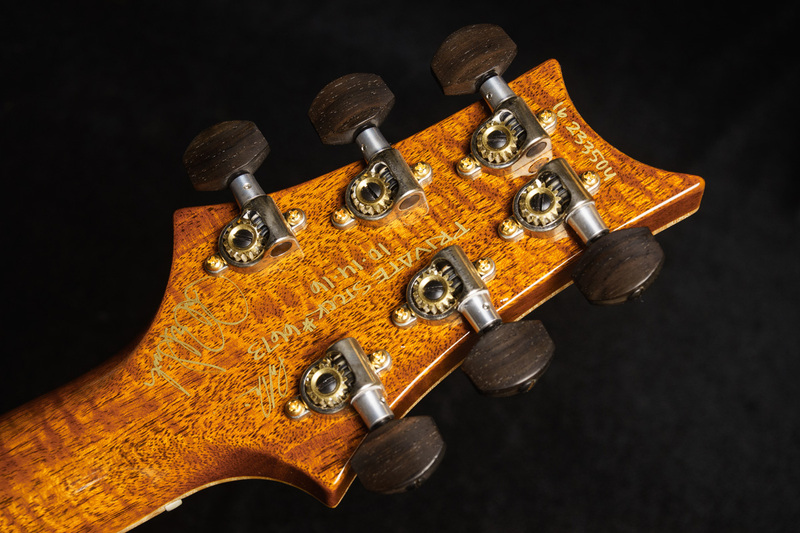 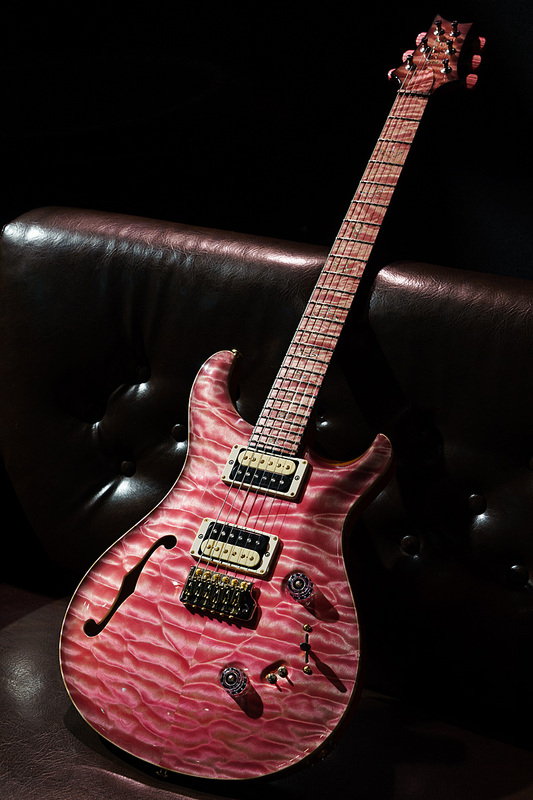 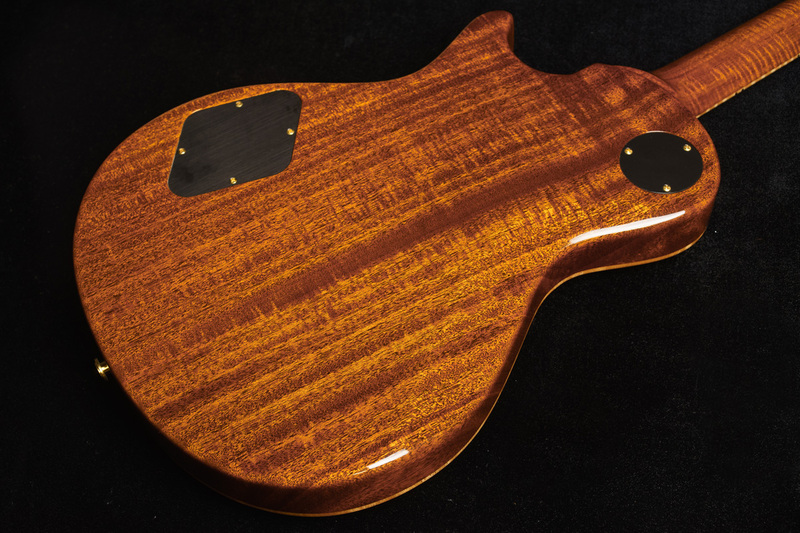 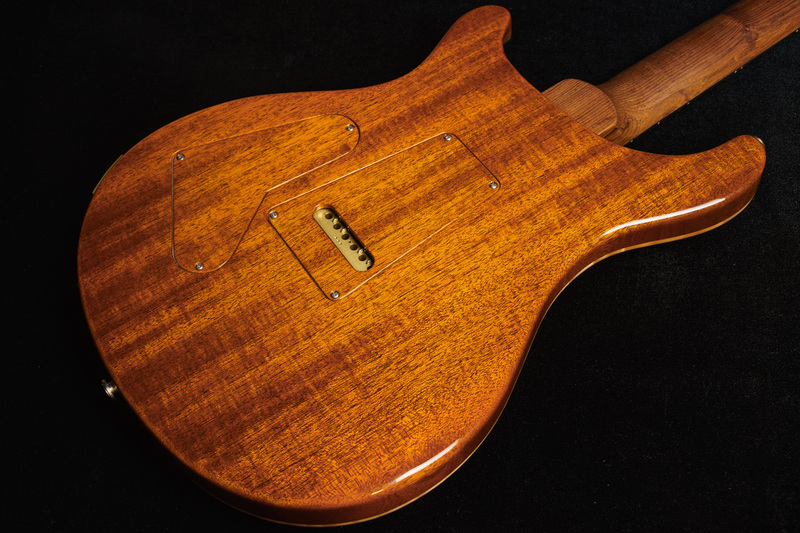 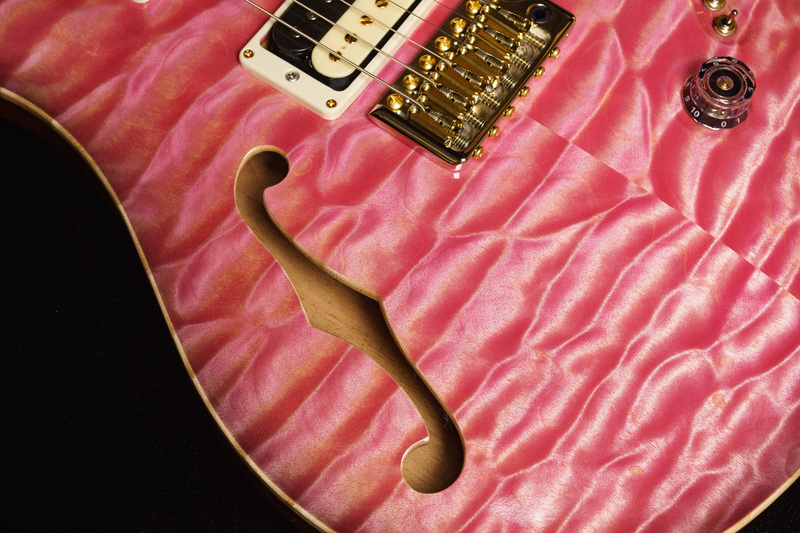 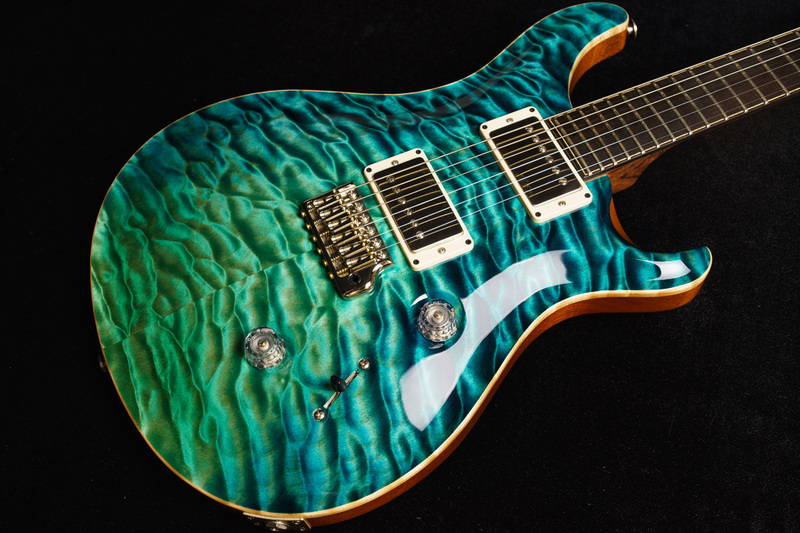 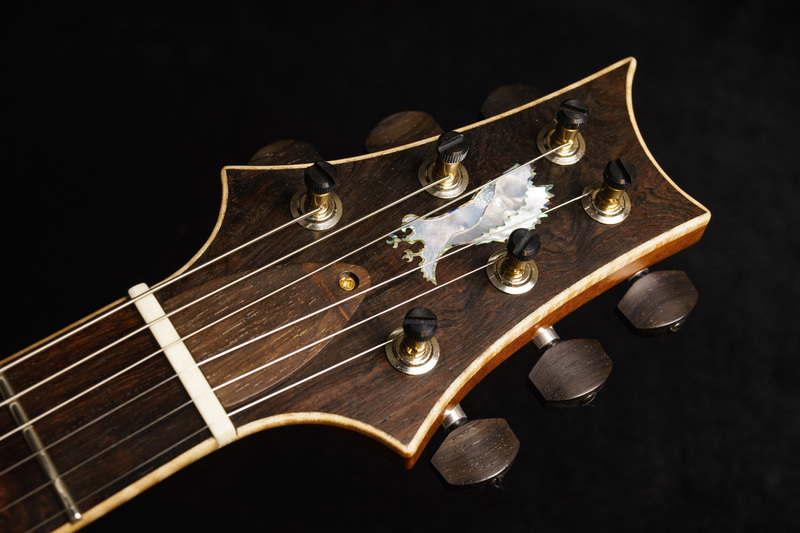 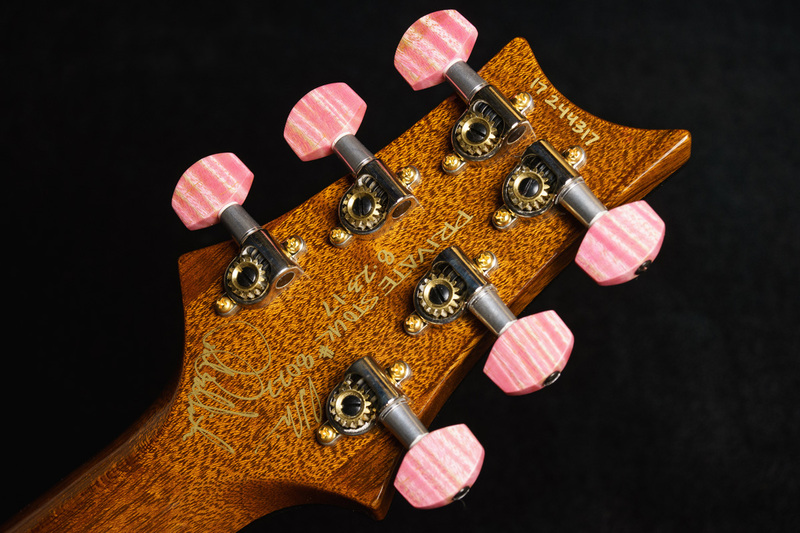 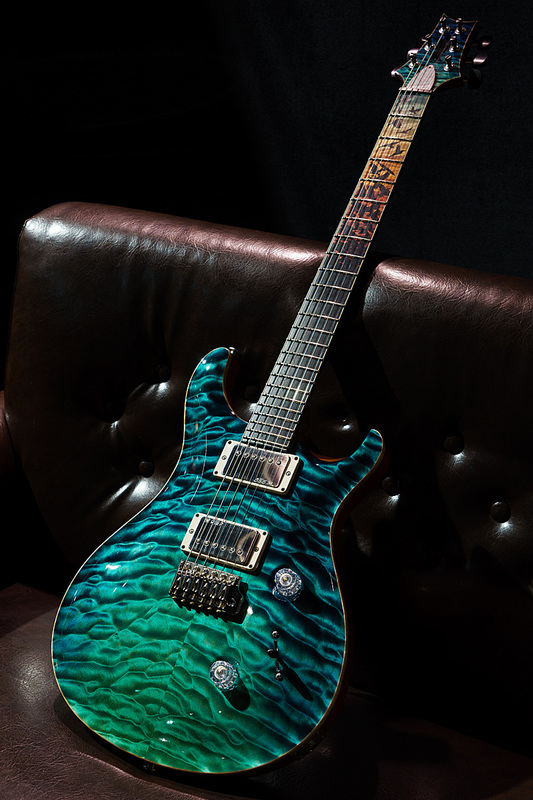 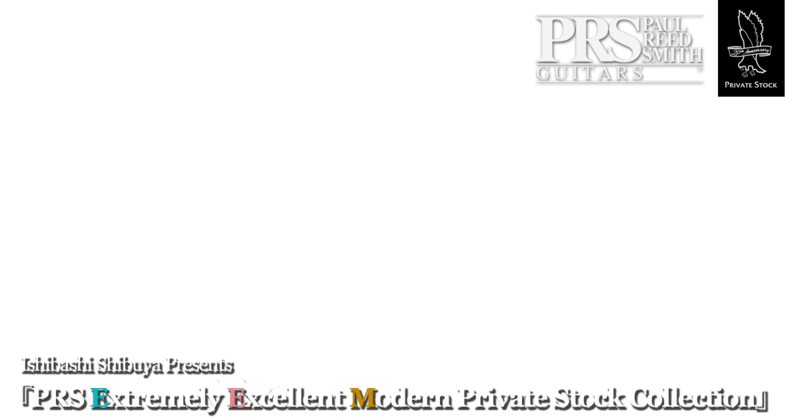 The woods on this guitar were personally hand selected by the dealer from the PRS Private Stock Vault. 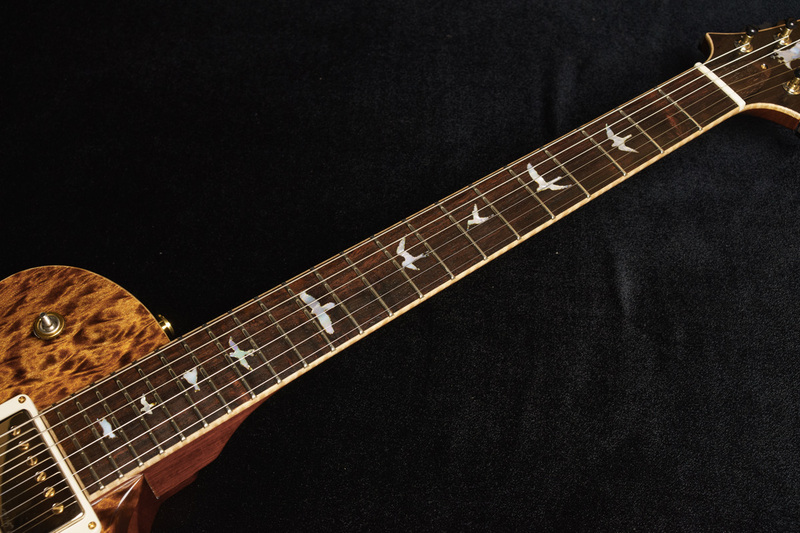 Laguna Dragon's Breath with sunset fade fretboard and veneer high gloss nitro finish,Ebony/Curly maple Birds of a Feather Inlays,Curly Maple purfling and Ebony binding along the fingerboard and headstock veneer as well as maple side dots. 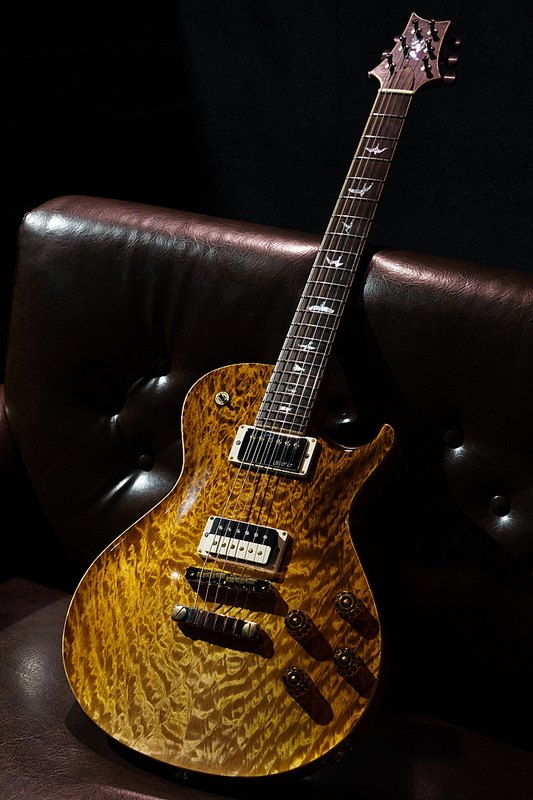 The woods on this guitar were personally hand selected by the dealer from the PRS Private Stock Vault.